If you have special needs you can easily include Belarus in your travel list. HiFive Belarus has discussed accessible tourism with Sasha Avdevich, an activist from Lida who promotes accessible tourism in our country, and Sasha Sipach, co-fownder of Way.by, the only Belarusian travel website which provides information about accessible tourist attractions. Would you call Minsk an accessible city? Accessibility in Minsk starts in the airport. This is an entry point for many tourists who come to visit the “terra incognita” in the center of Europe. Our airport is well-equipped to welcome wheelchair users: it has platform lifts, an elevator and accessible toilets. It is better to get to the city in a regular taxi, but you may need some assistance, though. Minsk has a number of hotels that meet all the basic criteria of accessibility. These new hotels represent big international chains, like Hilton, Marriott, or Europe Hotel. If you want to feel like a bit the Soviet era, there are also some options. One of them is the hotel Tourist, located near Partizanskaya metro station. Another option, which would cost you no more than you would pay for a large pizza, would be the economy class hotel Zhelon. It is really convenient: there is even a kitchen in the apartments! Regarding moving around Minsk, if you are in a wheelchair and find yourself at a metro station that is not equipped with lifts or an elevator, you can ask the guard or policeman/policewoman walking around the entrance – they will promptly arrange your transfer to the station. What places in the center of Minsk can be called accessible? On Zybitskaya, I like Depo, a good place for a snack: here you can taste delicious pancakes with different fillings. I sometimes visit 4-4-2 and “Na Plyazhe” (On The Beach) bars. Minsk has a pizzeria chain called Tempo, with about 20 cafes around the city. Each of them is open lately and accessible. 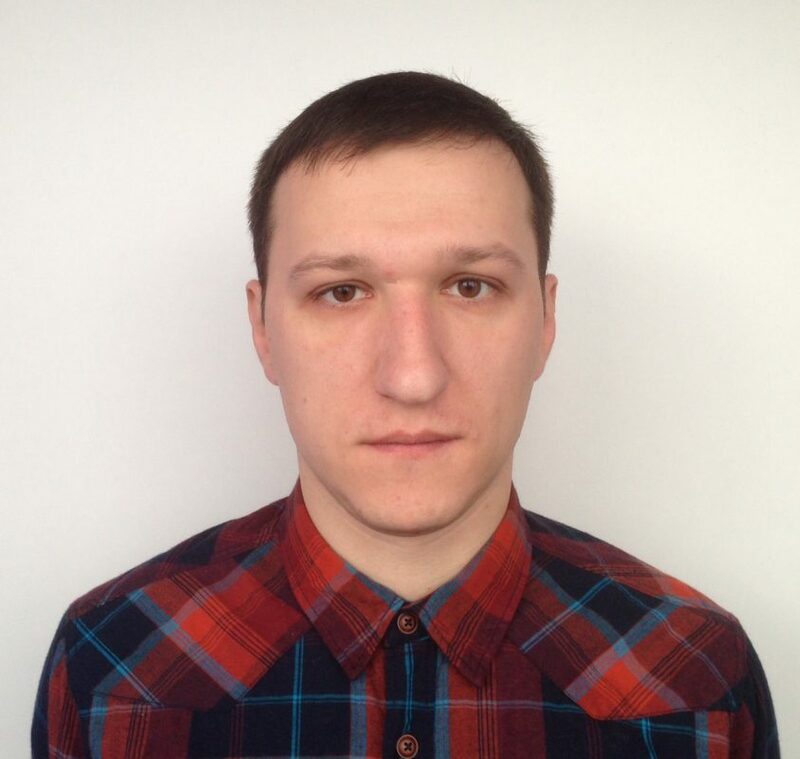 But generally speaking Minsk lacks accessibility. For example, let’s look at Karl Marx street in the city center. The street itself is cool, but the same can not be said about the cafes and restaurants located there. It is strange that the luxury places do not think about wheelchair tourists and will not bother to even install a ramp. Which ecoroutes in Belarus would you recommend? If you don’t have much time and looking for a one-day trip option, go to the ecopath in Volozhin district. The path starts in the forest, goes through meadows and takes you along the picturesque Isloch River – the only river with steep banks in Nalibokskaya Pushcha. 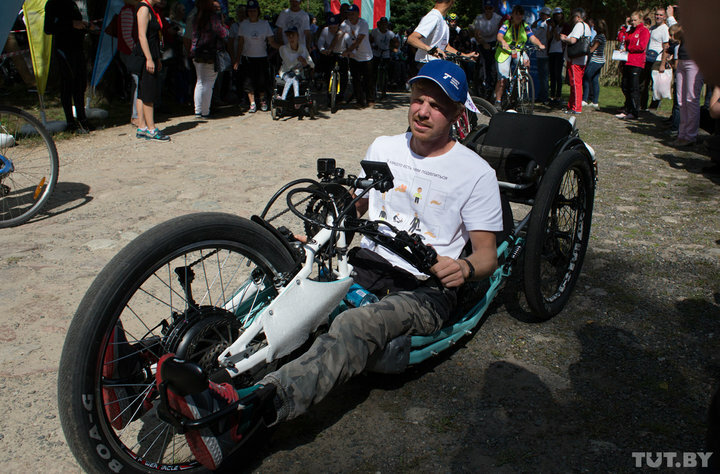 The ecopath was created with the support of European Union within the framework of the project “Volozhin without borders”, and it meets all European requirements for accessibility. I think it’s a great idea to build wooden decks in national parks. Over the past couple of years, we have developed quite a few routes like that in Belarus. For example, during the last year “Mind Matters” cycling tour, which was organized in support of sustainable development goals of the United Nations, we visited the Lake Reserve, where I checked out a local ecopath. I would call it accessible. If you have some time, I recommend you to take a proper look at the Belovezhskaya Pushcha. It is awesome, with nice asphalt roads along all major tourist routes. 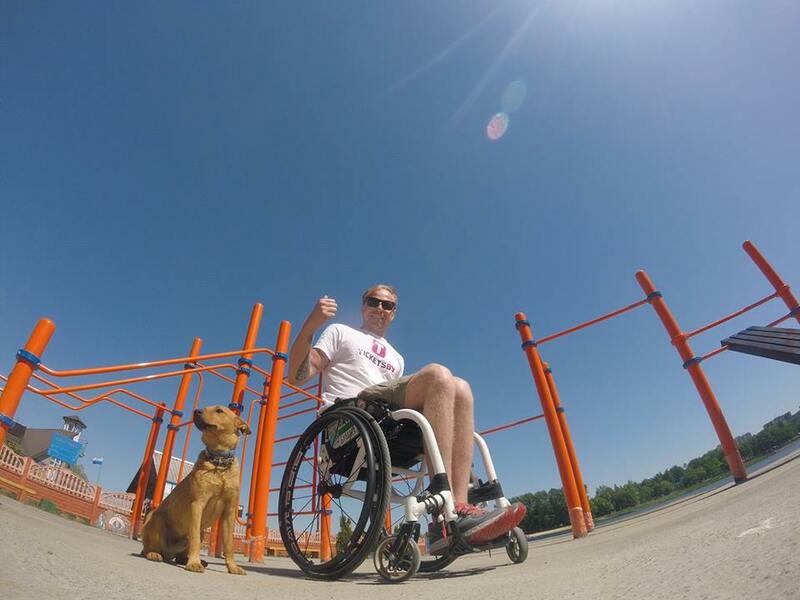 What can you say about accessible active tourism and sports? Welcome to Lida! There is an accessible beach with wooden flooring, that allows you to go down, swim and ride a catamaran. On the beach there is also an accessible work-out zone and all other necessary facilities, such as a shower and toilets. At the moment the city is constructing a bicycle path, and there will be two publicly available hand bikes when it opens. Anyone can have a fun ride around the city! In summer, I plan to organize a competition on accessible wrestling where all sports lovers can meet, whether they have disabilities or not. When the result depends on the strength of your hands, does it make any difference if you are in a wheelchair? I am also planning to promote catamarans as a rehabilitation tool by equipping them with foot-holders. There are two seats in the catamaran, which can make for a cool tandem: a person without disabilities can pedal, and a person with a disability can receive rehabilitation services. Which main tourist attractions are accessible in Belarus? I have visited Nesvizh, Mir and Lida castles. All of them are accessible for wheelchair users. I would also recommend visiting the Brest Fortress. What can tourists find on Way.by? They can find all the information they need to plan their trip: where to rent an apartment, how to book a tour or some other activity. We also have an info blog for tourists, where they can learn about the visa regime, border crossing procedures, public transport and so on. How does Way.by promote accessible tourism? When you search for a tourist attraction on our website, you can switch on an “accessibility” filter. There is a separate tab on the search console: availability of certain objects. We have included the main categories of tourists with special needs: for example, people with impaired musculoskeletal system, people with limited hearing, vegetarians, allergic, tourists traveling with children or with a bicycle, etc. All accessible eco-lodges or apartments we have on the website fall into one of the two groups: accessible or with partial accessibility. Which accessible eco-lodges could you recommend? If we talk about accessibility in the field of ecological or agro tourism, we can recommend three locations: “Ban’ka na vybor” (“Банька на выбор”), “Falvarak “U Rysya” (“Фальварак У Рыся”) and “Milva” (“Мильва”). Falvarak “U Rysya”, located in Grodno region, offers hippotherapy, or horseback riding, as one of the methods of rehabilitation. The owners can also organize workshops in pottery or straw weaving. Ban’ka na vybar, which is located in Minsk region, can host people with musculoskeletal disorders. There is also a pool for water activities and a seminar hall, which can accommodate 50 to 60 people. Milva eco-lodge is located in a picturesque place on the bank of the West Berezina River in the region of Grodno. Every year it organizes camps for children with disabilities. The houses are equipped with accessible showers and toilets. You can also go kayaking here! Way.by will be available in English in October 2018. This entry was posted in Green routes. Bookmark the permalink. Belarus invites to European Games 2019!